This tour covers a lot of ground – 32 beautiful miles of it. And, while the length and navigating through urban traffic makes it for experienced bikers only, it’s a safe, easy ride over flat terrain. An engaging, well-informed tour guide leads the pack with ease and confidence, pointing out sights along the way and pulling over often in interesting places. While the ultimate destination is the “Island Paradise” of Key Biscayne, half the fun is getting there. The adventure begins and ends on South Beach, with the added bonus of a swing around the bayfront on the way back, stopping at one of the most spectacular sites in Miami, Viscaya Museum and Gardens, an ornate bayfront mansion of old world style, elegance and grace, then into eclectic Coconut Grove. Leaving SoBe, the ride crosses the Venetian Causeway for 2.5 miles of gorgeous Biscayne Bay views to the north and south, amazing Miami skyline views, islands lined with fabulous mansions, tall cruise ships glistening bright white along Government cut, and pleasure boats cruising about. 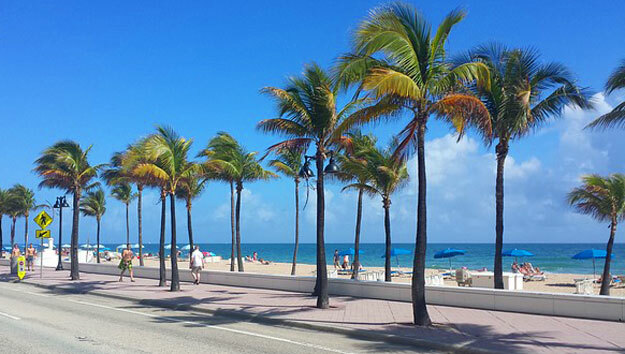 Once on the mainland, the tour of Miami turns south to Bayside Marketplace, for a bit of R&R. Then it’s onward to the Rickenbacker Causeway, the 3 ½ mile link between Miami and Key Biscayne, with huge water views stretching south towards Biscayne National Park. 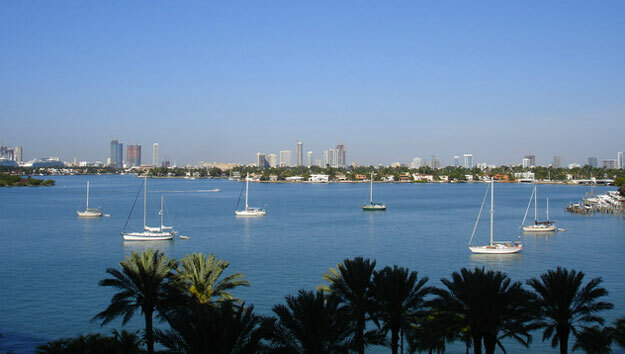 Key Biscayne’s natural beauty, state and county parkland, water views, and miles of bike paths are draws for cyclists. It’s an island of historical dimension. It is here that Tequesta Indians once lived, where pirates once moored, and where the 1825 lighthouse signal warned mariners of the danger of offshore shoals and reefs. Over time it became a private island paradise devoted to growing palm trees and tropical fruit, a small residential village, a presidential enclave, a favored vacations spot, and the ultra-exclusive home of international residents. And remarkably, with all this growth, it has acres of protected natural open spaces. At the northern end lies Crandon Park, a large park edged by a long, sandy beach; anchoring the southern end, Bill Baggs Cape Florida Park, centered by the historic lighthouse and edged by both the Atlantic Ocean and Biscayne Bay, is planted in native vegetation and has walking and biking paths meandering through it. Save $2 automatically without a coupon. 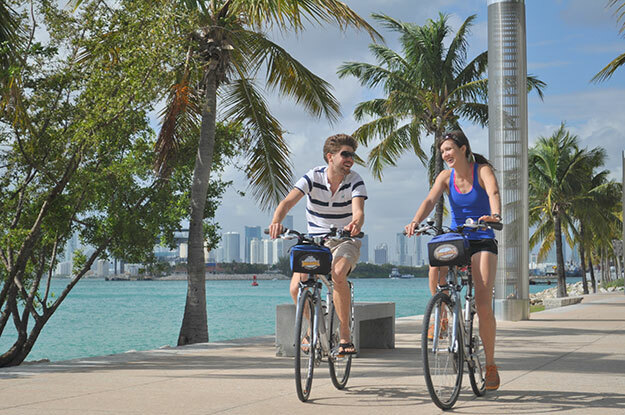 Purchase Discount Tickets For Key Biscayne Bike Tours.